In 2010, Brigitta Moskova began her acupuncture practice within a local chiropractic office. As much as she enjoyed this experience, she soon realized that to fulfill her vision, she would need to leave and find a place of her own. In April, 2012, she found her current location in Oakstone Office Park in Columbus. The new office provided her the space to expand her own acupuncture business and eventually become a wellness center she had dreamed about. 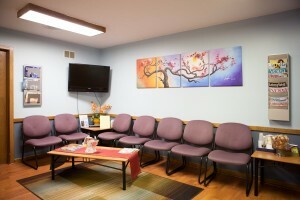 It was her vision to develop a wellness center that could provide a variety of holistic services and to help her patients maintain a vibrant and healthy lifestyle. Within the first year, she brought two massage therapists into her fold. The following year was also fruitful. Brigitta welcomed a variety of practitioners ranging from colon hydro-therapists, certified aesthetician /reflexologist, a licensed Reki master and a couple laser therapists. *If you are current patient at our office, ask about referral discount to try a new service.